Hellbilly Deluxe is the first album that Rob Zombie recorded as a solo artist. Released the same year as his heavy metal band White Zombie disbanded, Hellbilly Deluxe serves as a spiritual successor to White Zombie’s final album, Astro Creep: 2000, but in many ways it is something entirely new. Abandoning the thrash metal sound of White Zombies last 2 albums, Rob Zombie gravitated towards hard rock still with an emphasis on strong groove laden songs and samples of horror film dialogue with his own lyrics revolve around the same themes as well as offbeat characters and concepts of his own creation. Rob Zombie manages to cling onto his distinct gravelly voice while showing a massive improvement in his singing abilities. He sings clearly enough to be heard throughout most songs and no longer sounds like he’s straining himself anymore. At other times he takes to an almost spoken word delivery on Living Dead Girl, The Ballad of Resurrection Joe and Rosa Whore and Return of the Phantom Stranger. Song-writing has flourished in a lot of new ways while each song is generally shorter and has a more clearly produced sound. After the creepy samples that make up Call of the Zombie he cuts to the heart of Hellbilly Deluxe; adrenaline pumping horror rock anthems tinged with an assortment of odd noises and all the other ingredients you’d expect to hear in a b-list horror film. The other, more arguably artistic side of Rob Zombie crawls through on the spooky soundscape work of Perversion 99 while How to Make a Monster is a seemingly intentional lo-fi rocker that sounds as though it was recorded in a basement with the microphones in another room. The supernatural monster shenanigans come to a bizarre finish with The Beginning of the End, a noise song that is riddled with several layers of unidentifiable sounds that swirl around uncomfortably. 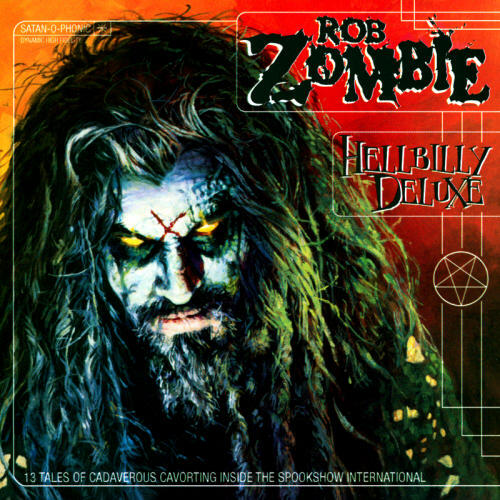 While some parts of Hellbilly Deluxe are comparable to White Zombies later output, it’s important to remember that Rob Zombie has moved beyond what White Zombie was and has gone onto carve out a far more ambitious and creative solo career with Hellbilly Deluxe.